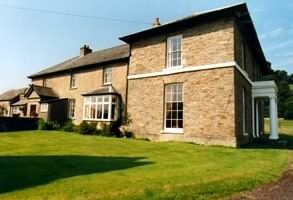 Sennybridge accommodation in friendly Sennybridge hotels, B&B, Bed and Breakfast, homely Guest Houses, cosy Holiday Cottages, congenial Country Pubs and Inns, luxurious Sennybridge Country House Hotels and Caravan and Camping sites. 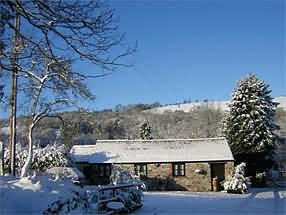 quality Welsh Bed & Breakfast accommodation in the heart of the countryside. With walking, cycling, and fishing on our doorstep. We do not allow smoking or pets in the farmhouse. where you can be assured a warm welcome. Why not compliment your stay at The White House Country Inn with a visit to one of the many attractions and activities in the area. You may like to walk one of the numerous routes in the Brecon Beacons. There are routes to suit all capabilities and agility. Our establishment is close to the banks of the River Usk; perhaps you may like to fish in the areas reservoirs or rivers. We can arrange fishing on 2 miles of the River Usk at a rate of £10 per day per rod. The cottage sleeps four with comfort. A tasteful barn-conversion, created from a stone building dating back to the seventeenth century. A wealth of charm awaits you, original beams, low ceilings(! ), a magnificent log-burning stove and tasteful decor and soft furnishings. A real home-from-home. The relaxing lounge is very comfortably & tastefully furnished and has a traditional wood-burning stove that will warm even the coldest of evenings. A radio/CD player, TV, DVD-player, Video-player, numerous books of all varieties, and a good choice of board games are provided for your leisure and entertainment. The open-plan kitchen/dining area is well equipped to make catering during your holiday as easy as possible. There are an electric oven and hob, fridge with small freezer compartment, a microwave oven, toaster and kettle as standard equipment. Breakfast Hamper: Why not treat yourself to a hamper containing locally sourced/produced produce for the the perfect Welsh Breakfast - set yourself up for the day! £3 per person per night. Non-riders are charged £30 per night for accommodation in the Cottage. Mairi and Steve are your hosts and offer you the warmest of welcomes to Tylegarw which is one of the emerging high quality, yet affordable serviced accommodations offering standards that we hope will leave you pleasantly surprised. Set in an idyllic location in the heart of the stunning Brecon Beacons National Park, near Brecon, Tylegarw bed and breakfast provides a truly wonderful setting for your well earned break from a busy world. 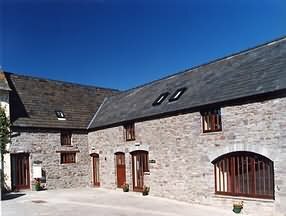 With secluded, private parking our Country Guest House accommodation provides a cosy retreat ideally located for exploring the majestic scenery that the Brecon Beacons has to offer and the many other activities that are available in the region. 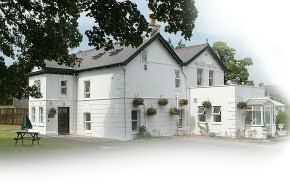 Bed and Breakfast from £35 per person, per night. Smoking is not permitted in the house at Tylegarw - Sorry, no pets. Newly converted from an eighteenth century barn. They are tastefully furnished and decorated with original oak beams and stone walls. The cottages can be interlinked with an internal door to make a spacious six bedroom property. 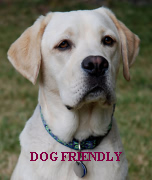 Both cottages are very well equipped with great attention being paid to the comfort of visitors. There is a shared drying room and boot room with tumble dryer. There is shared access to an indoor games room with a pool table, dart board and table tennis. Outside there is a safe play area for children, a barbeque for each cottage and individual patio area with garden furniture. There is ample parking. There is also storage for canoes and bicycles if required. Bed linen and towels are provided. Electricity and full efficient oil central heating are inclusive. Cots and high chairs are available on request. Apple Tree Cottage sleeps 6 people in 3 spacious bedrooms. There is a delightful kitchen, very well equipped with kettle, toaster, electric cooker, microwave, dishwasher and fridge freezer. Also a utility room with washing machine, iron, ironing board, cloak room and toilet with hand basin is nearby. There is a large comfortable sitting / dining room with wooden flooring, a dining table to seat 8 – 12 and ample comfortable seating. There is a colour television with video and DVD. Brook Cottage sleeps 6 people in 3 bedrooms. There is a delightfully converted open plan kitchen with well fitted kitchen area including breakfast bar, kettle, toaster, electric cooker, microwave, iron, ironing board, fridge, freezer, dishwasher and washing machine. Mairi and Steve are your hosts and offer you the warmest of welcomes to Tylegarw which is one of the emerging high quality, yet affordable self-catering accommodations offering standards that we hope will leave you pleasantly surprised. Set in an idyllic location in the heart of the stunning Brecon Beacons National Park, near Brecon, Tylegarw bed and breakfast provides a truly wonderful setting for your well earned break from a busy world. With secluded, private parking our Holiday Cottage accommodation provides a cosy retreat ideally located for exploring the majestic scenery that the Brecon Beacons has to offer and the many other activities that are available in the region. Kite Cottage from £325 for 7 days. Smoking is not permitted in the cottages at Tylegarw - Sorry, no pets. Bailea is situated in an idyllic location, with panoramic views over the picturesque Usk valley onto the Brecon Beacon and surrounding hills of the Fforest Fawr Geo park. Bailea is a working family farm producing Farm Assured beef and lamb and is farmed under the Welsh environment scheme "Tir Gofal". There is an abundance of wildlife with several Red Kites nesting nearby and a couple of badger sets in the area. Bailea is ideally located for leisurely walks onto Mynydd Illtyd with its National Park Visitor Centre or for the more demanding ascent of Pen y Fan and Cornddu (the highest peaks in the Brecon Beacons) or down to the river Usk, where fishing is available. There is a choice of good places to eat locally. Sleeps up to 4, 2 bedrooms. An exceptionally spacious and comfortable cottage, retaining much of the character of the original coach house. Sleeps 2, 1 bedroom. A spacious and luxurious self catering cottage which retains the character of the original Stable and Granary. 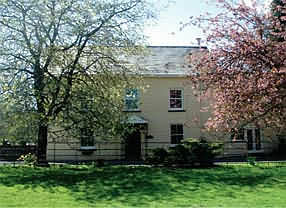 Regrettably, Bailea Coach House & Stable are unsuitable for children. 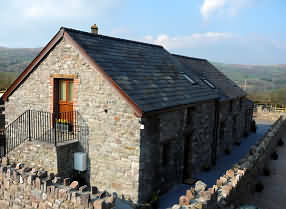 The self catering cottage offers off road parking for two cars and, including sofa bed and sleeps up to four people. Auld Ffynnon is the ideal place to come and relax in the beautiful Welsh countryside. Within the village there is a fantastic hotel, The Castle Coaching Inn, offering excellent food with a warm family welcome. Also in the village is a local village pub, The Three Horse Shoes. 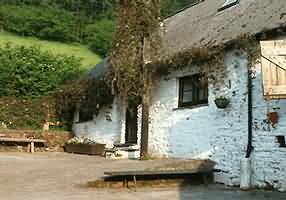 Both the Hotel and Pub offer a typical pleasant and friendly rural atmosphere. All you need for a perfect break away from the hustle and bustle of everyday life. 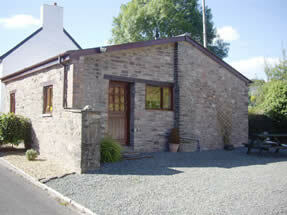 Auld Ffynnon self catering cottage is recently refurbished and sleeps up to 4 people. The cottage consists of an open plan living room and kitchen area, with a double bedroom and bathroom to the rear. A sofa bed is available in the living area and makes the cottage perfect for a family of 3 or 4. There is a cosy log effect fire to keep you warm in the winter months.